On a beautiful clear winter day a friend of mine and I started the 10 mile trek up to the summit of Telescope Peak from the Charcoal Kilns in Death Valley National Park. Words cannot describe the feeling of standing over two vertical miles above the desert below on the only snow covered peak for hundreds of miles. 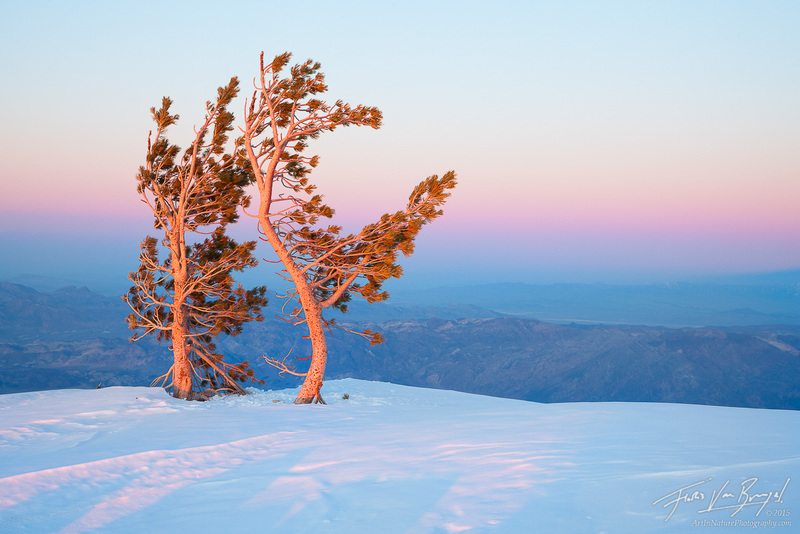 As the sun set I noticed these two wind tortured Limber Pines enjoying the last rays of light.